While companies touting the latest fitness devices were the most popular, other global brands came to the forefront with new developments. Beauty company L’Oreal unveiled a UV-monitoring patch ‘My UV Patch’ which in effect is a heart-shaped tattoo that changes colour when exposed to UV rays, alerting the wearer when to get out of the sun. The first smart paintball mask with a heads-up display also made its debut at CES – though a very niche product, owners of the company, Intel, have indicated that they want to be able to offer all types of wearables to a wider audience than current fitness fanatics. This democratisation of wearable technology will only be possible with lower price points for consumers, and by definition, lower manufacturing costs. 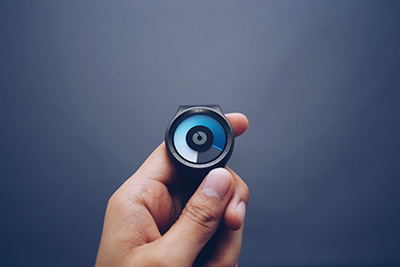 A recent report by Research and Markets indicates that the global wearable technology market is set to reach approximately $33bn in the next four years, which means more industries are looking at how to utilise the technology. Theatre goers may soon be welcomed by front of house staff with head-mounted displays (a version of Google Glass) that can scan QR codes rather than check paper tickets, or even offer facial recognition. The benefit of wearables to the arts industry doesn’t just end in staff productivity – producers of a recent Hollywood movie used wearables in test screenings to gauge viewers’ genuine reactions to the film. Wearables will prove whether a movie is really an edge-of-your-seat experience. And talking about seats, a Japanese factory has designed a chair that you wear on your body – it’s not as crazy as you would think especially if you imagine it being used by doctors performing long surgeries. But no doubt may people will see the benefit of using the wearable chair at a concert, the queue for Wimbledon or even a train journey. Whether you’re a fan of the technology, or an interested observer of new trends, it is clear that wearables are here to stay – from the latest sensors embedded in clothing, to smart collars for your pets to monitor moods. Thanks to flexible electronics, product designers are now able to rethink form factors and embrace this technology in order to create a raft of innovative wearable products.